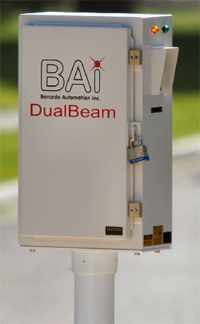 The BA-440 DualBeam Barcode Reader represents the most compact, full featured barcode reader for Vehicle Access Control and AVI (Automatic Vehicle Identification) systems. Combining advanced laser technology with the proven DualBeam design pioneered by Barcode Automation, the BA-440 Barcode Reader offers the best performance, reliability, and cost effectiveness available. Automatic Vehicle Identification has never been easier. 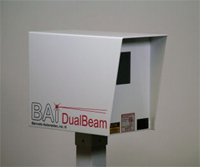 The BA-220 DualBeam Barcode Reader is a powerful, reliable system for identifying moving vehicles at reasonable cost. Easy to install, simple to maintain and operate. 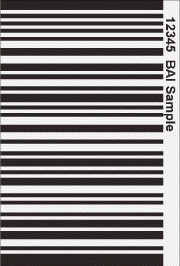 Barcode Automation offers vehicle barcode decals in 56 different colors, which is useful for color matching or color-coding parking areas. For an unobtrusive (almost invisible on tinted windows) decal, our popular black-on-black decal is the answer. Once properly attached to the vehicle window, the decals will not be lost or loaned, and Barcode Automation readers do not read photocopies of barcodes.